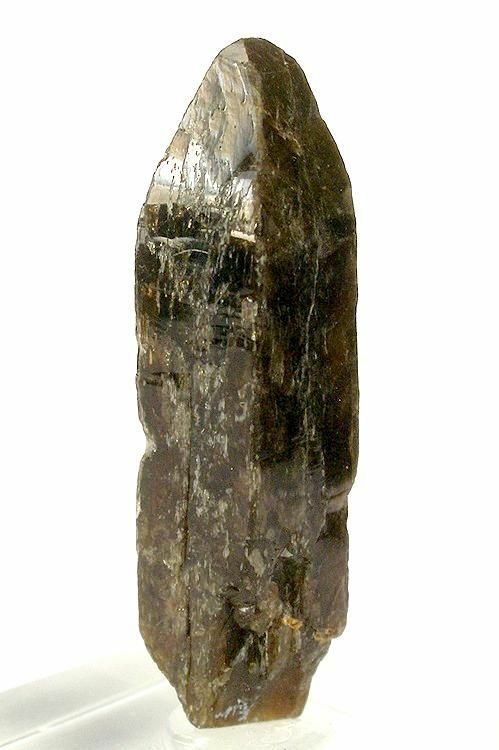 Xenotime is an uncommon yttrium phosphate. 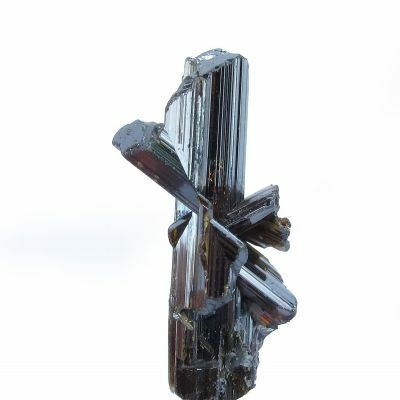 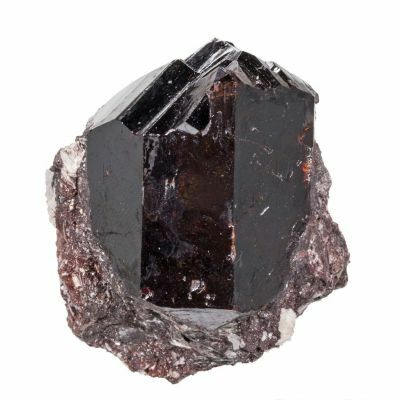 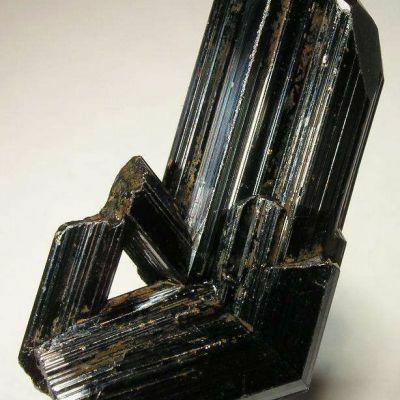 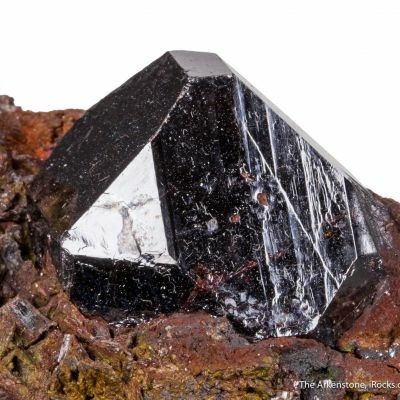 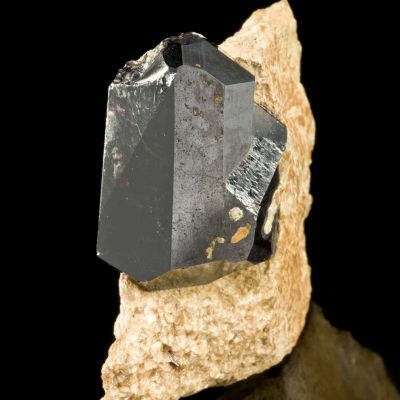 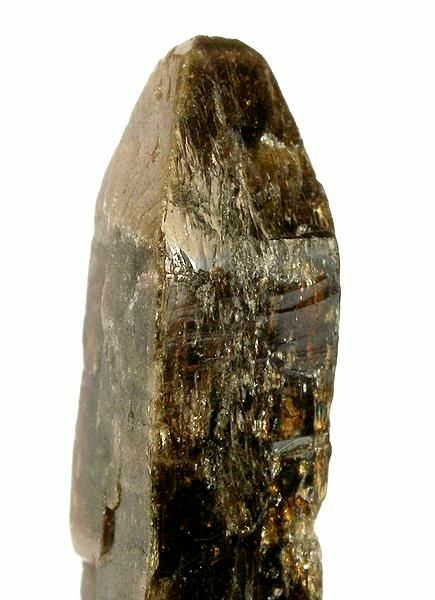 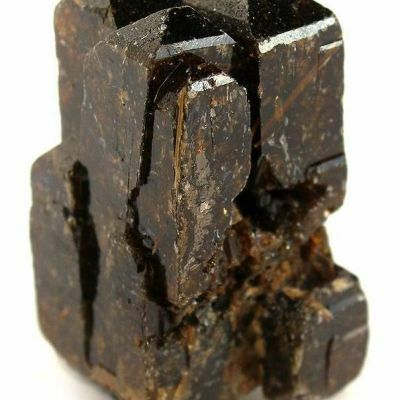 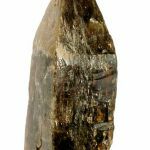 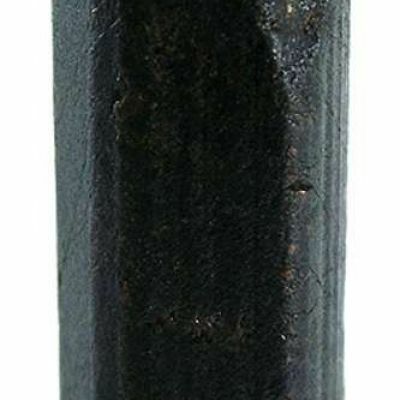 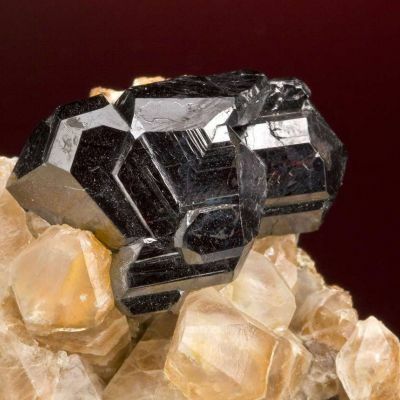 This classic, for the species and locality, crystal has high luster, rich chocolate-brown color and textbook tetragonal form with a steep, pyramidal termination. 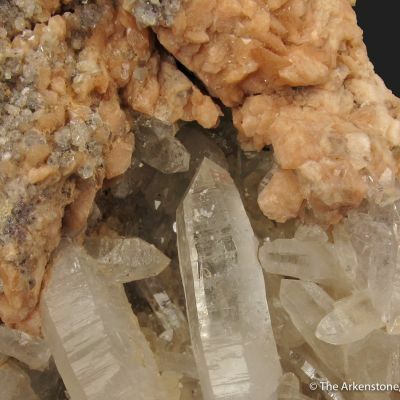 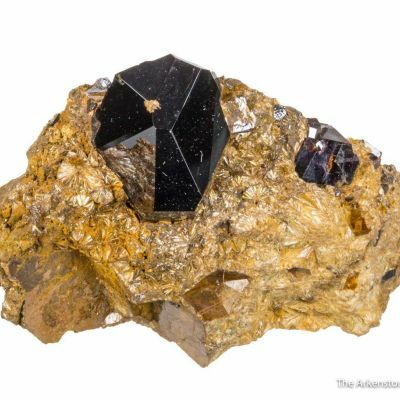 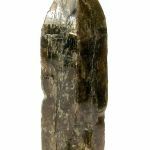 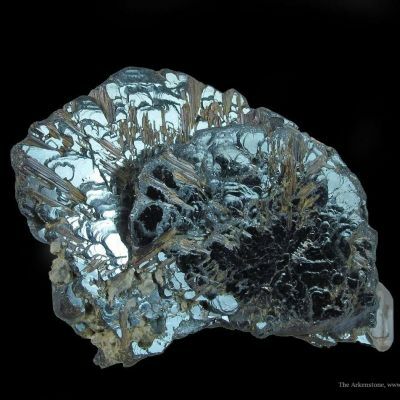 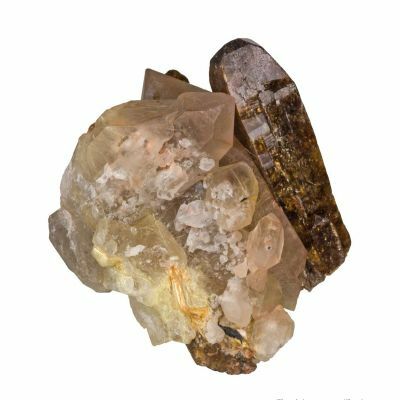 The crystal is moderately translucent and as a final accent, there are inclusions of flashy, golden rutile needles. 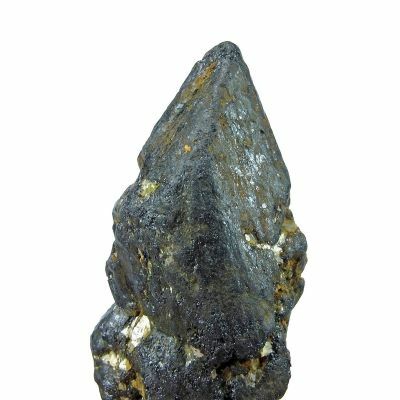 Excellent material from a find of about 2004.